A refreshing and comedic take on some tips of horseback riding, as told by Marilyn Darrell, an adult beginner horseback rider with Maverick Stables. Heart pounding. Pulse racing. Can’t catch your breath. Panic. And that’s just the thought of being near an animal that is at least 4 times your size. Forget about climbing onto it and riding it! Have you wanted to ride a horse but just haven’t been able to face the fear? That was me up until a week ago. I was never really that girl who wanted a pony from day one. Perhaps I lacked some sort of innate equine loving DNA. My desire to ride a horse was something that grew on me quietly and slowly but persistently. Maybe moving to Lockhart, Texas last year and watching Lonesome Dove twice during summer vacation had something to do with it? But there it was. 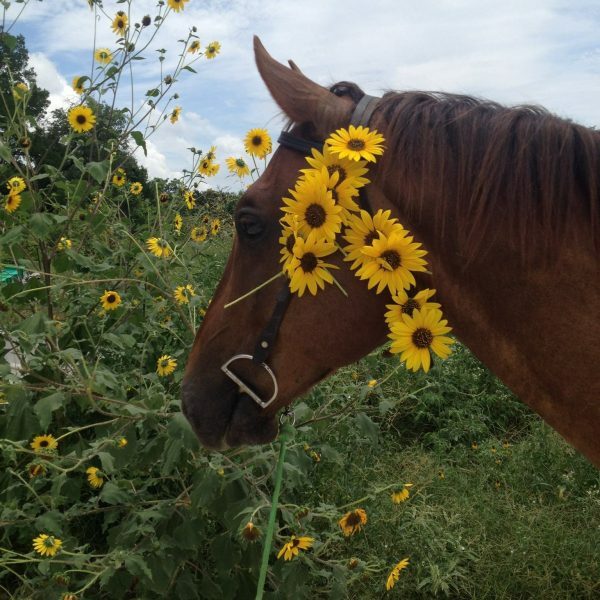 I wanted to ride a horse and go on a real trail ride deep in the heart of Texas. So, when I was faced with the opportunity to go out to Maverick Horseback Riding and see my wish come true I bucked. NO WAY! Nope, I’m busy. (You have time.) I might fall off and get hurt! (You’ll be fine.) What if I can’t even get up on the horse? (You will. One step at a time.) That was the battle in my head. Be 100% in the moment. Don’t focus on the negative things that can go wrong (or mistakes you might have just made). Visualize the ride going well. Sit up straight. Relax. Engaged muscles and relaxed joints. Evaluate your feelings and let them go. It’s true: as what you are thinking and feeling affects those around you it will affect your horse. But the horse won’t judge you. With proper instruction and guidance, incremental and continuous skill development, and the right horse it is possible to work with your fear, any special needs, and sit confidently in the saddle. If you would like to hear more stories from Marilyn and students like her, please continue to follow our blog role. Additionally, you are welcome to contribute to our efforts to spread horsemanship education to all those who love these majestic and awe-inspiring animals. Please contact us for more information!